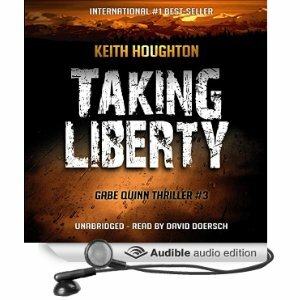 Finally, after almost a year on the table, the finished audiobook version of “Taking Liberty” – (Gabe Quinn Thriller #3) is now available to download from Amazon, Audible and iTunes, and it sounds great! This third production sees narrator David Doersch still at the helm as we follow Gabe to Alaska and through a whole heap of trouble. As with the first and second audiobooks, he’s done another excellent job of fleshing out the characters, individualizing their voices and, of course, staying true to Gabe’s developing mindset as he moves through the ongoing story lines. 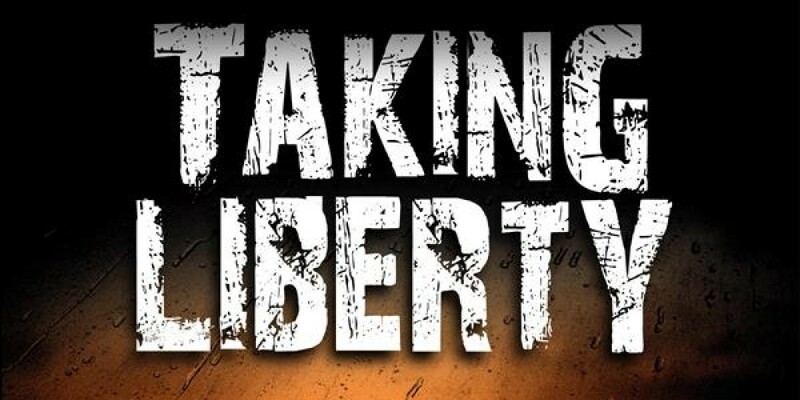 As before, ‘Liberty’ underwent a complete refit in preparation for the audio recording. I made slight editorial changes to the manuscript to enhance the audio experience, fine-tuning here and there to allow the spoken words to flow much more smoothly. Altogether, it really has turned out to be a great audio experience and is all 3 GQ audiobooks are essential listening for every Gabe Quinn enthusiast!